The Datamax ST-3210 has been renamed to the Datamax-O'Neil ST-3210. 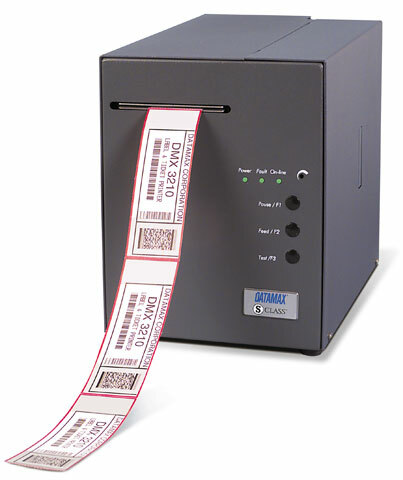 The Datamax S-Class family of ticket and tag printers represents a significant advancement in features, value, and performance for a direct thermal admissions ticket printer. Need to meet a specific admissions application requirement? This ST-3210 is your ticket! Manufactured specifically for use in the ticketing industry as a high performance, value-priced product, the Datamax ST3210 redefines on-demand printing price and performance criteria for industry specific applications. Designed with an all-metal enclosure and a locking cabinet, the unit incorporates a self-alignment, automatic ticket feeding mechanism that supports industry standard fan-fold ticket stock in the most popular widths from 1.9 inches to 3.25 inches. If your business requires ticket printing, look to Datamax - the only source you need for all your printing solutions. Datamax is a world leader in the design, manufacture and marketing of direct thermal and thermal transfer printers for ticketing and labeling applications.